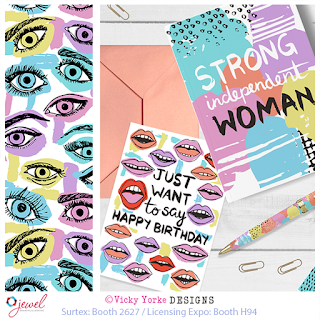 I've been extremely busy over the last few months creating brand new designs for my portfolio. 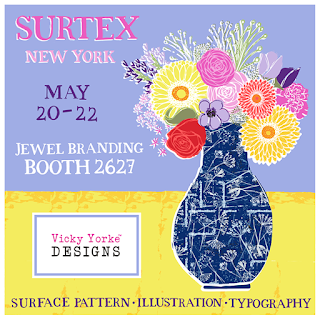 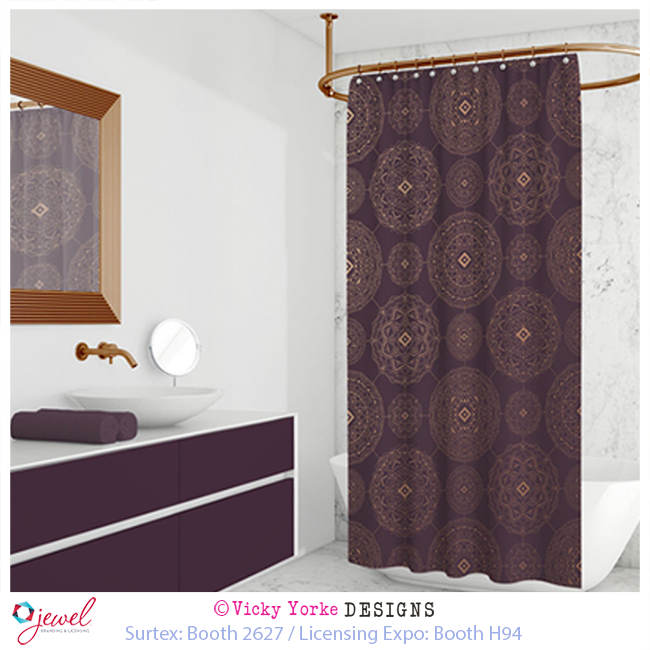 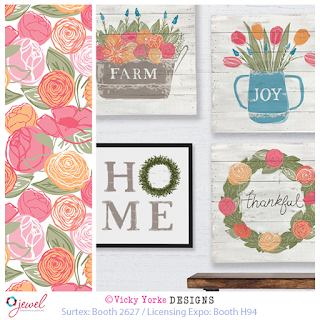 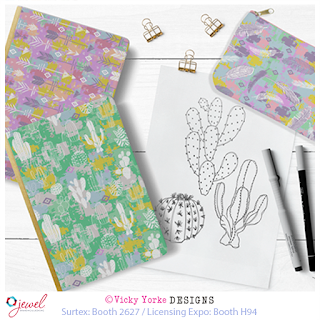 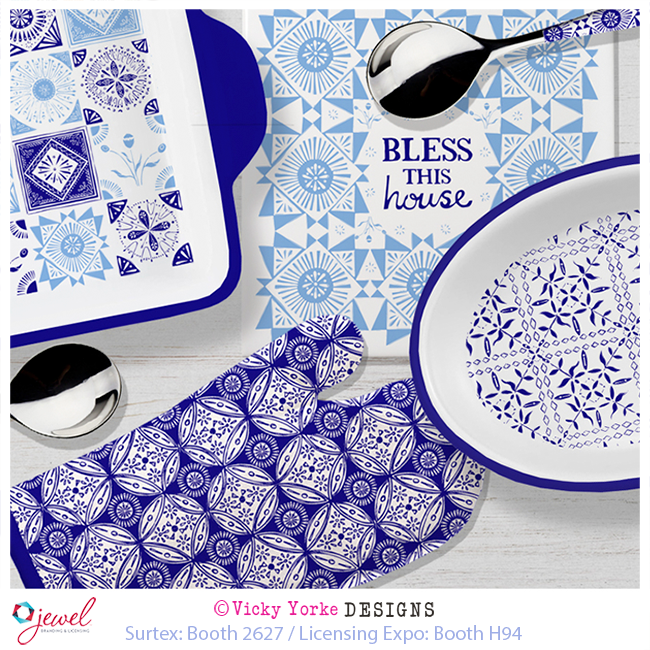 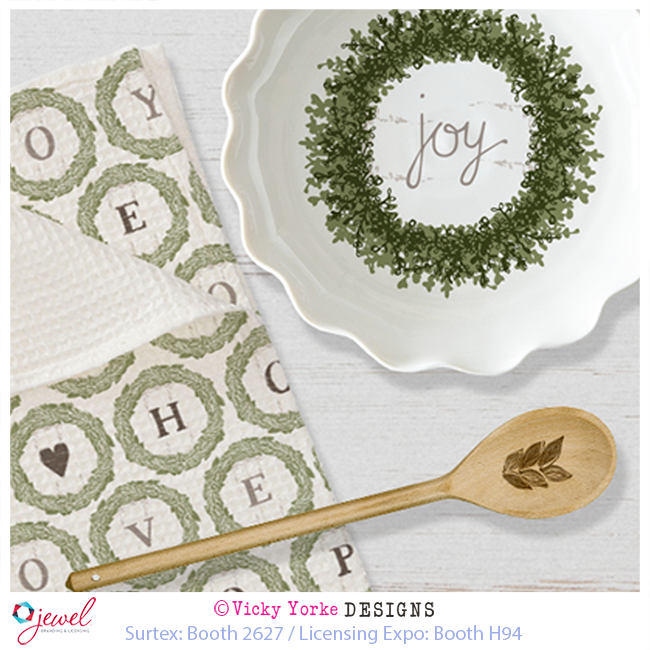 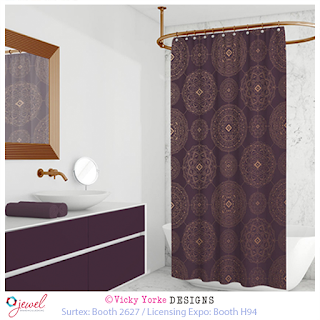 My agents Jewel Branding & Licensing will once again be at Surtex (NYC) Booth 2627 from May 20 - 22 to show you all of my latest creations. 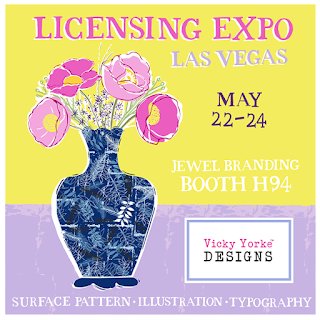 You can also catch them at Licensing Expo (Las Vegas) Booth H94 from May 22 -24. 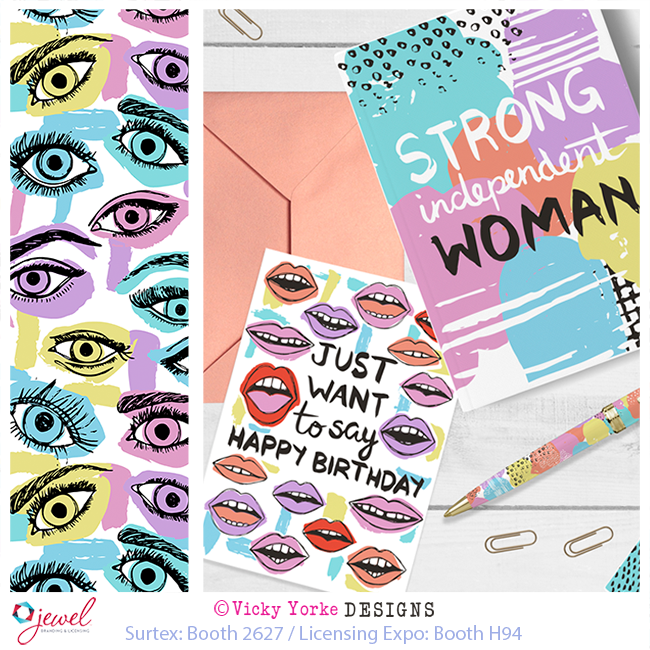 My portfolio is full of warm and appealing patterns, illustrations and typography, with many on trend motifs of the moment interpreted in my ‘grown-up whimsical’ style. 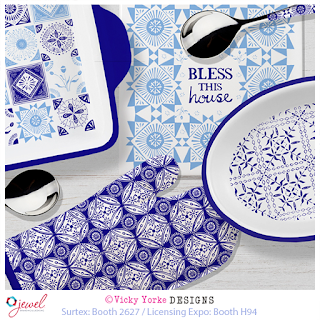 Designs are suitable across a broad range of product categories, so if you are visiting either of the shows please stop by and take a look. Themes include Holidays (Christmas, Easter, Valentine’s, Mother’s Day); florals; coastal; farmhouse; animals; global prints; inspirational art; travel prints and much more! 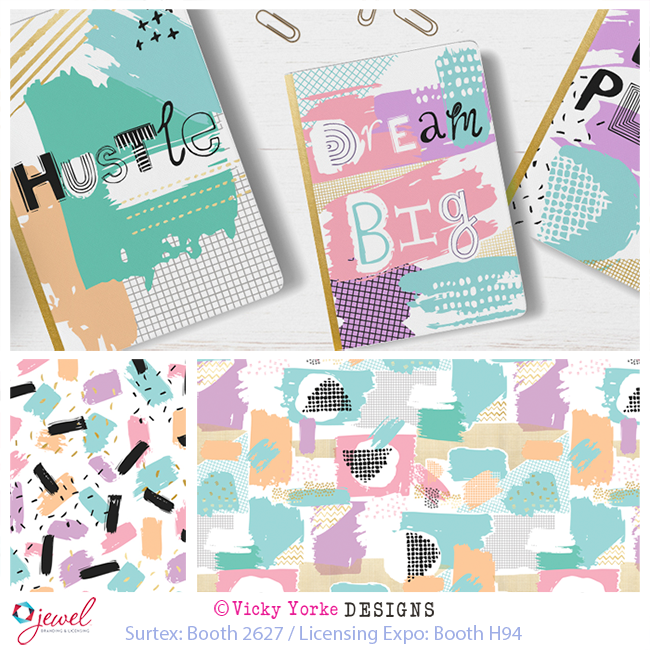 I am looking for licensing partners across many different categories including, but not limited to, stationery, home textiles, homeware, gift, bedding, bathroom, wall art, craft products, home decor, wallpaper and table top. 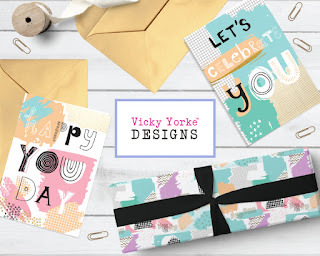 Perfect for creating a warm and happy home, the Vicky Yorke Designs brand is already available across a large selection of products including stationery, homeware, fabric, gift, kitchenware, technology cases and personalised product, with more collections due to launch later in the year. 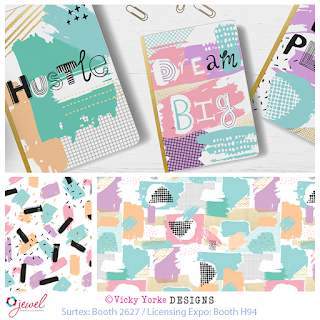 You can view my brand book here for more information. Contact beth@jewelbranding.com to arrange appointments for the shows or to view my portfolio via the Jewel Branding secure website. Alternatively, you can email me at vickyyorkedesigns@yahoo.co.uk to request a PDF of my portfolio via WeTransfer.